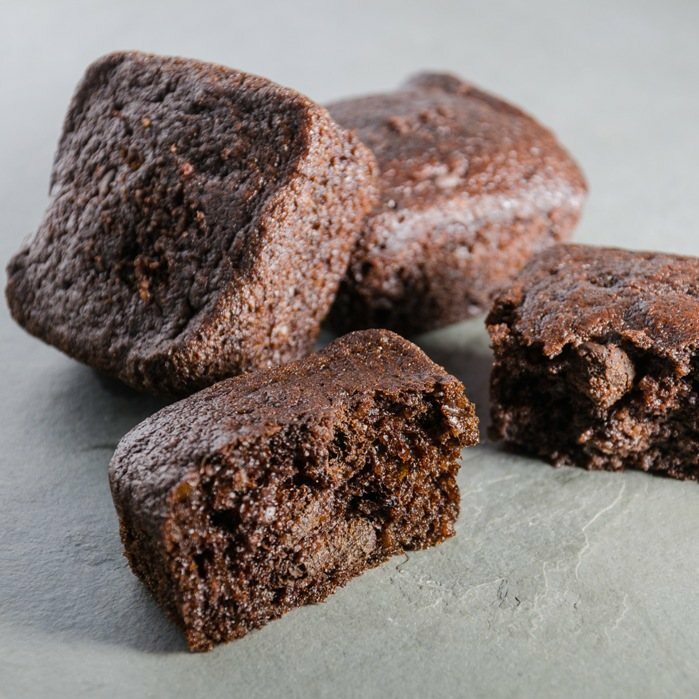 Yes we know a brownie sounds too good to be true on a Paleo, these paleo brownies make the perfect guilt-free treat for children and adults alike. While it’s true that Paleolithic man wasn’t sitting around eating brownies, there are ways to make them using ingredients they would have had access to, if not the oven to bake them in! They are light and spongy in texture and will satisfy those with a sweet tooth - even those used to conventional brownies. The sweetness comes from a little added honey and 70% cocoa ‘choco chips’ that you will find scattered throughout, alongside pieces of walnuts. They are absolutely delicious when eaten warm and coated in coconut cream or Paleo ice cream. Refrigerate and consume within 3 days. Otherwise, slice and freeze for up to a month. Nice bread, good taste but quite high in calories. Do you or have you considered making teff bread? The bread I received from Yumbles was delicious, and the chocolate chip cookies were really yummy, will definitely order again. Beyond delicious & full of flavour! Really lovely bread that has made it much easier for me to stick to a keto diet! Paleo baked goods: free from refined sugar, free from wheat, free from dairy…and delicious!